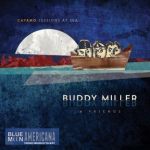 Great new music this week…a lot is pouring out and we’re here to keep you apprised with new music from Buddy Miller, Lucinda Williams, Danny Click, and Carrie Rodriguez & The Sacred Hearts. I’ve also lined up a couple of ‘fathers and sons’ sets to fill out a two hour morning that always just flies by. This episode also bookends a salute to Dan Hicks, a guy who grew up in these parts and who so many of us dearly loved and respected. He passed away this past week but his music abides. 23 North Mississippi Allstars My Hometown Dead Man's Town: A Tribute To Born In The U.S.A.